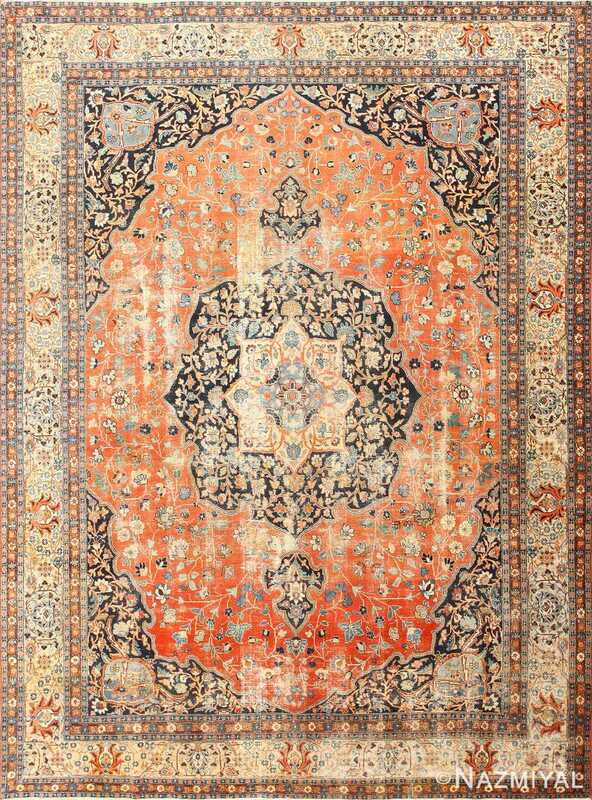 The field of this stately antique Khorassan from Persia consists only of open, subtly abrashed reddish terracotta pile. 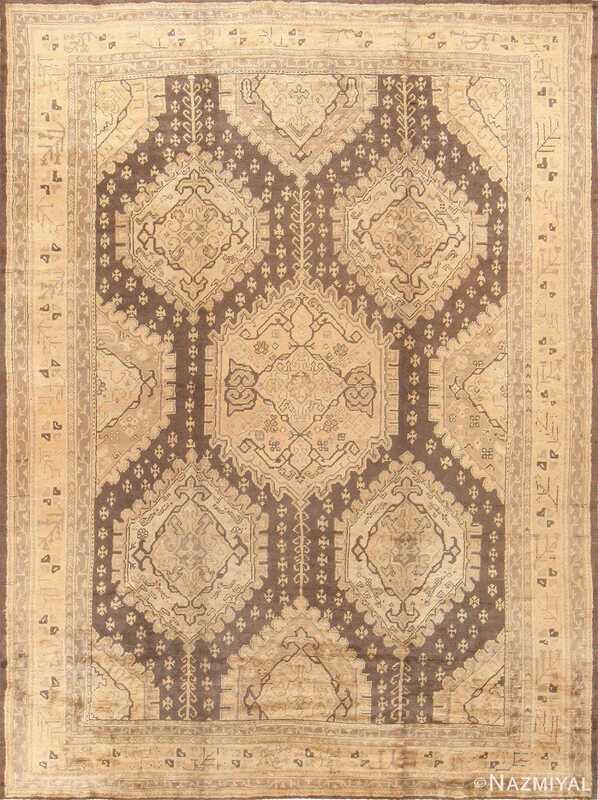 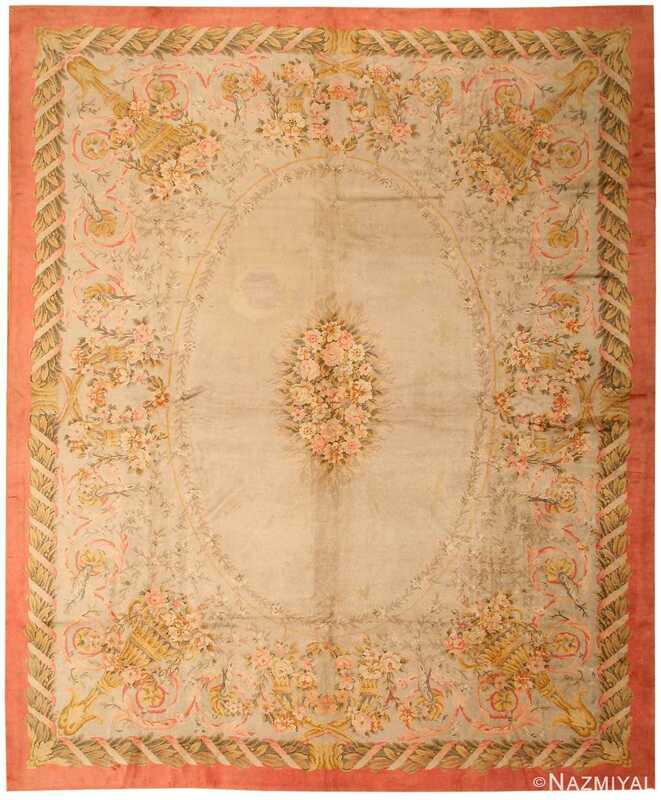 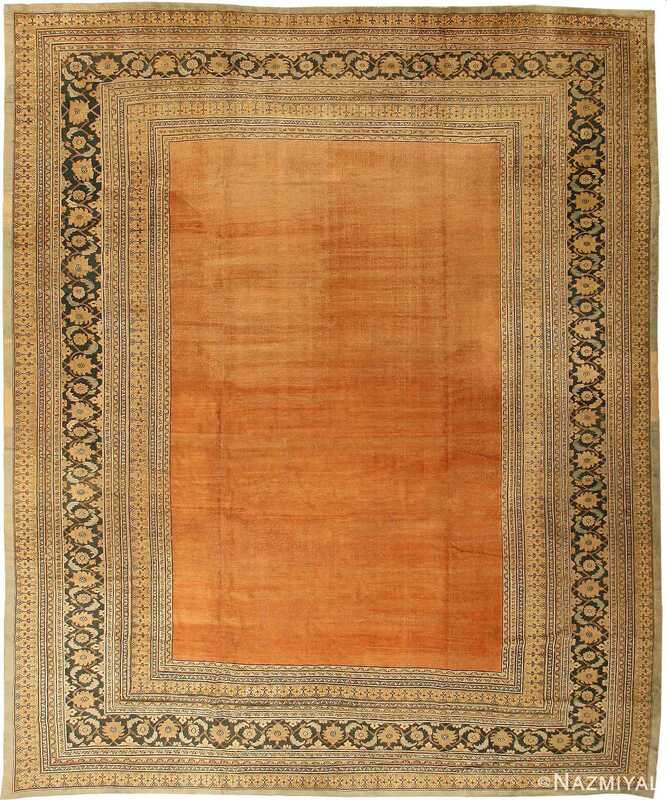 An antique French Savonnerie carpet that exhibits an elegant open field medallion floral design. 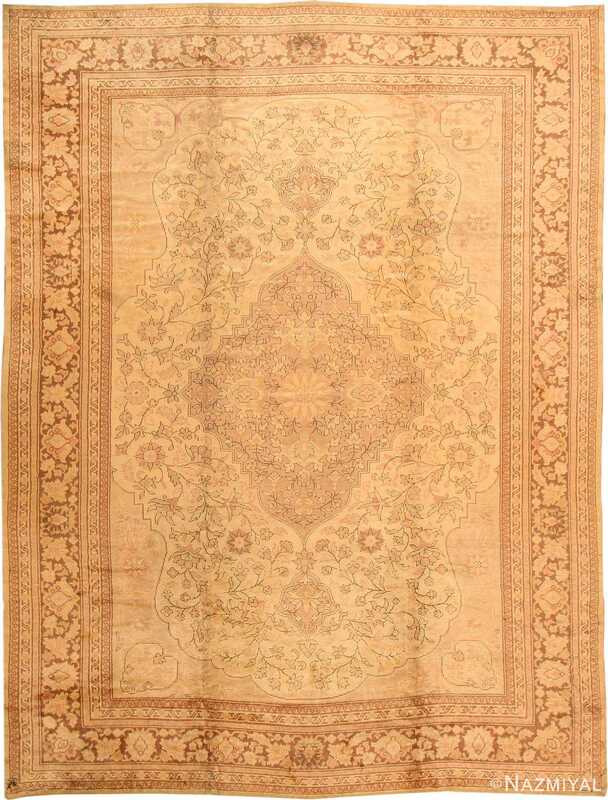 Beautiful large square size ivory background with soft green accent colored antique Persian Sultanabad rug. 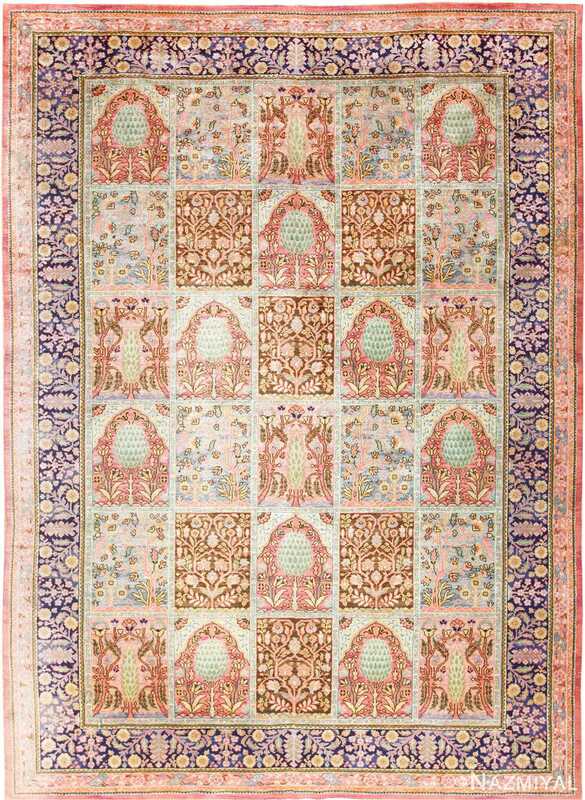 Intricate patchwork motifs create a fantastic allover pattern that decorates this expansive Indian Arts and Crafts carpet created in the early 20th century. 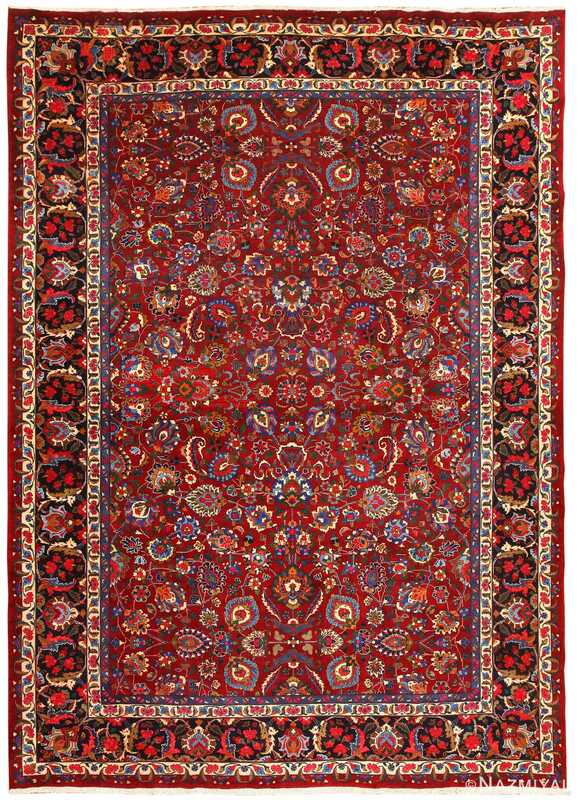 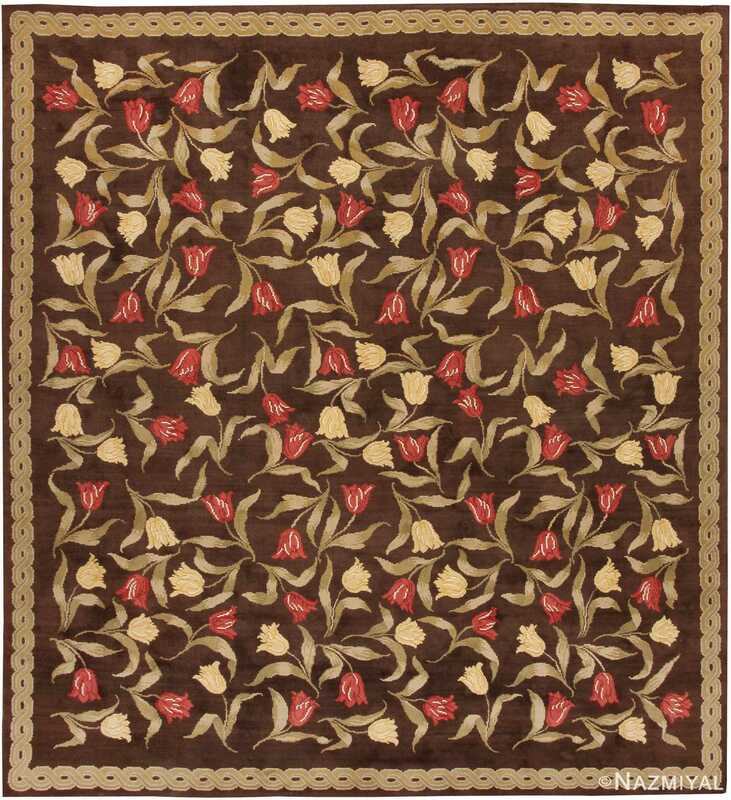 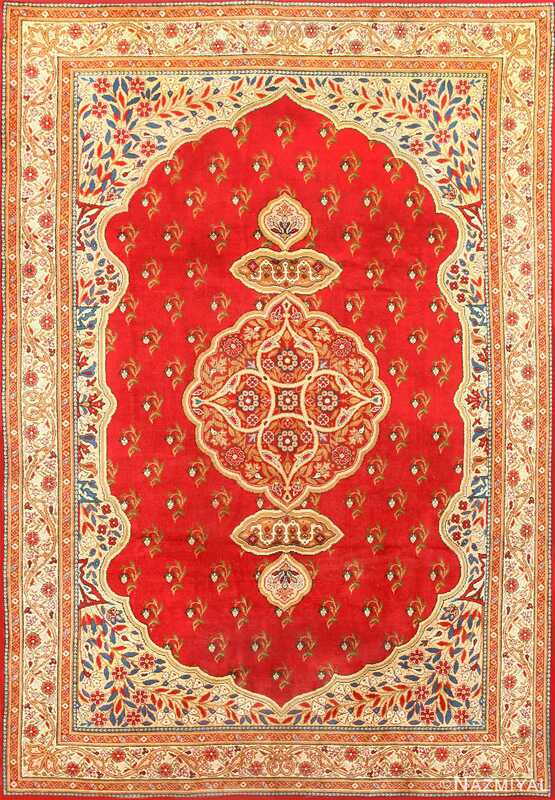 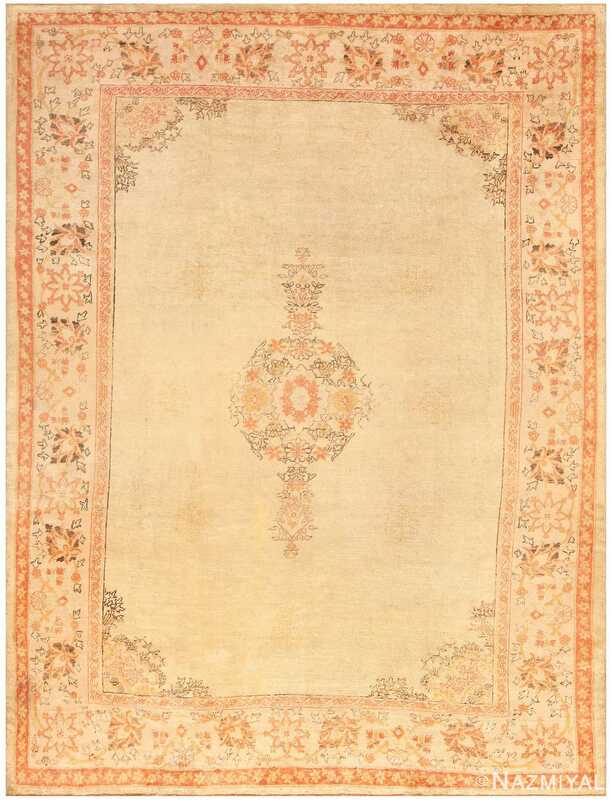 Small clusters of flowers in reds, blues, greens, and lavender, float gaily across the lighter background color of this French Savonnerie antique carpet. 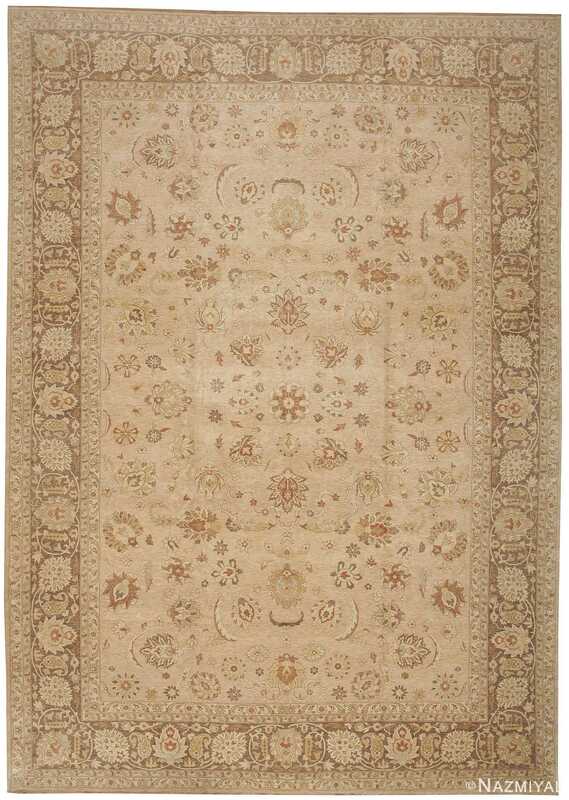 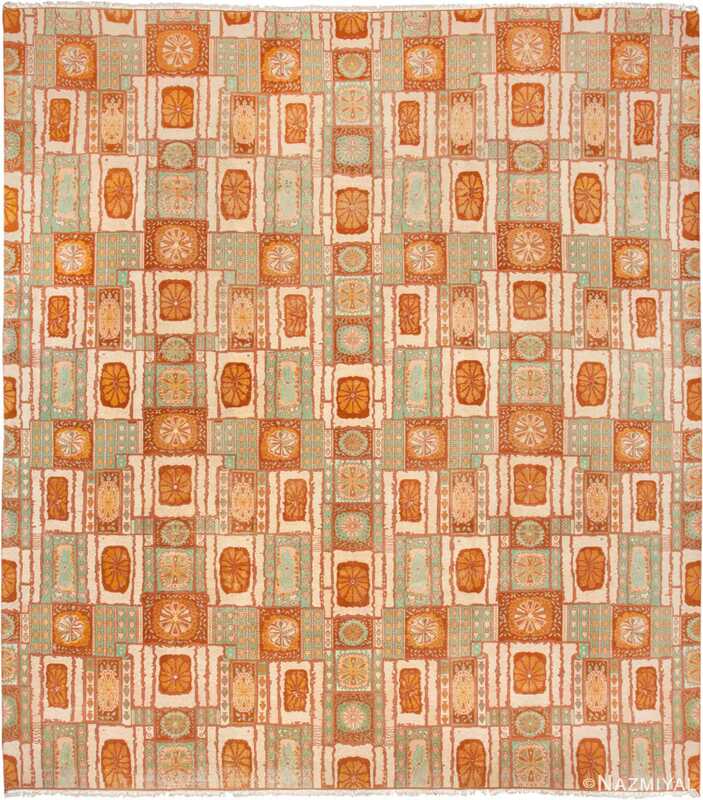 This excellent vintage Oushak carpet displays traditional floral elements in warm pastel hues to create a garden of visual delights. 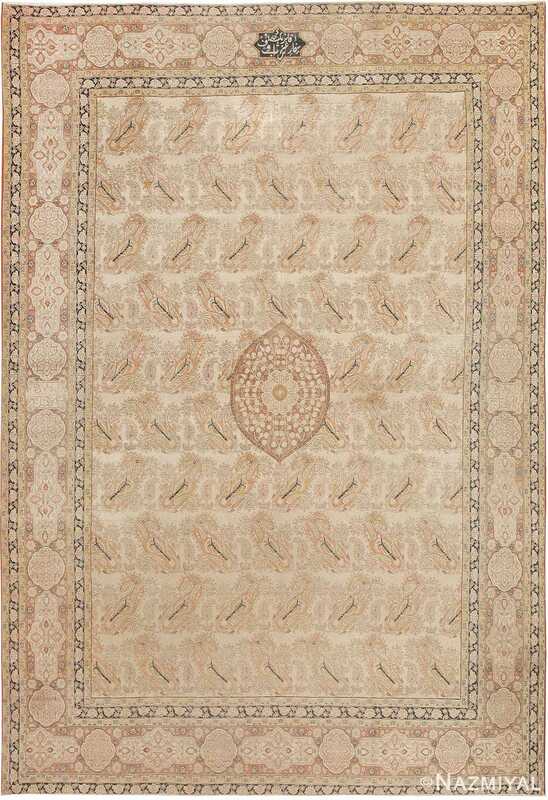 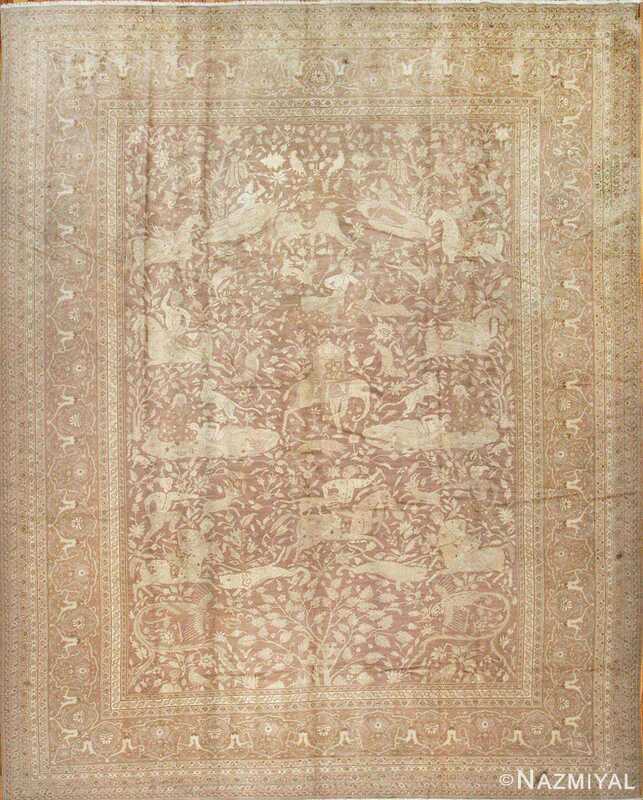 This grand and lovely antique Oushak from Turkey has the soft mauve and creamy palette that makes such carpets so highly sought after. 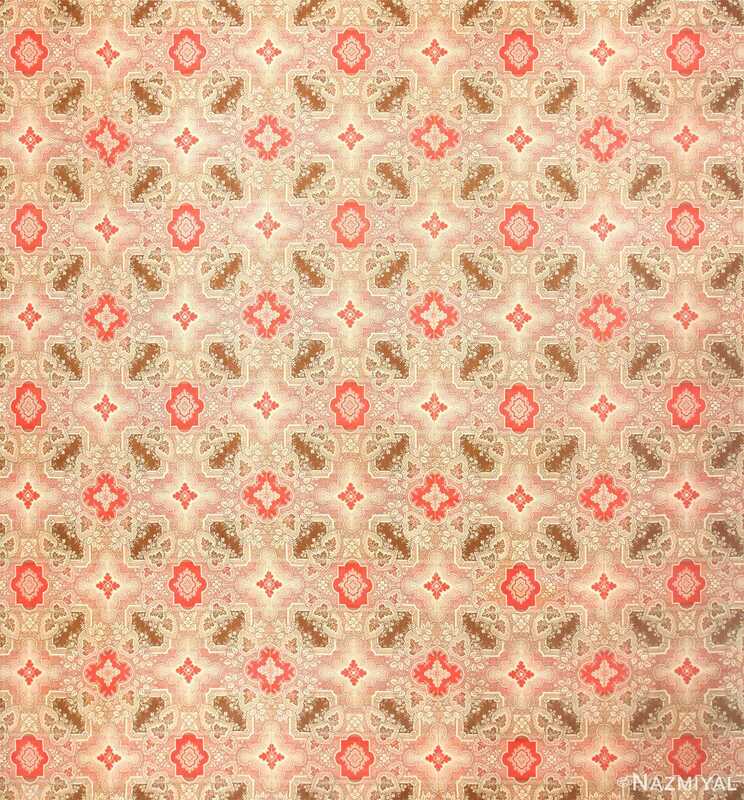 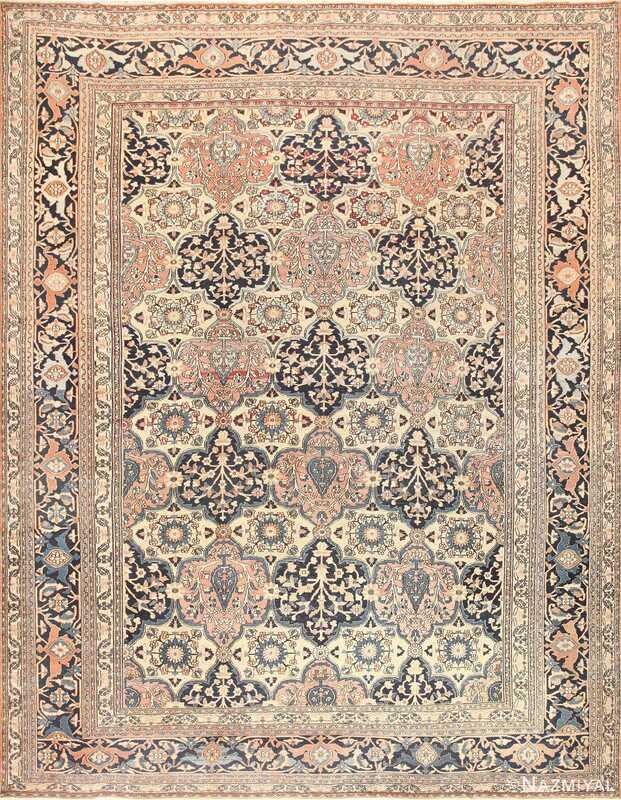 The lovely brown tones that make up the field and the detail work give this Oushak a great sense of solidity and evenness. 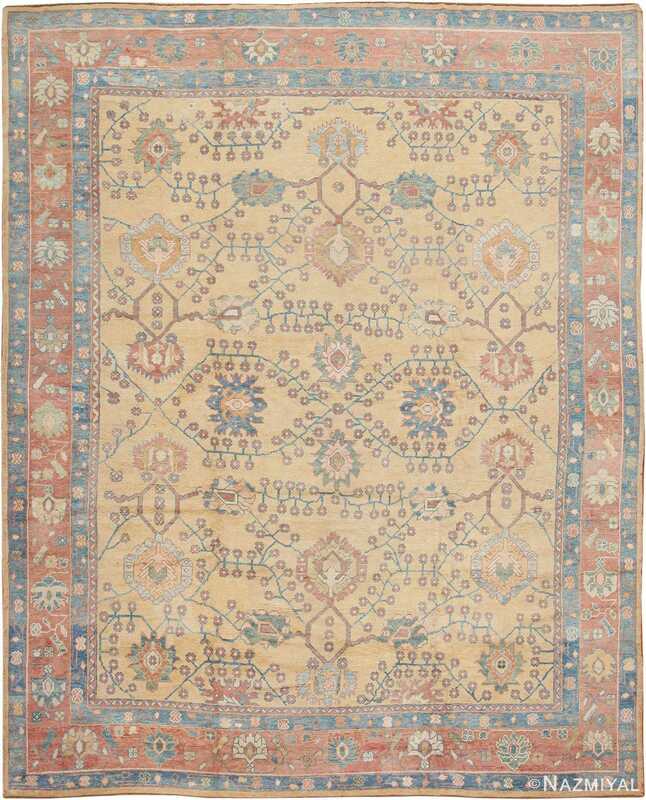 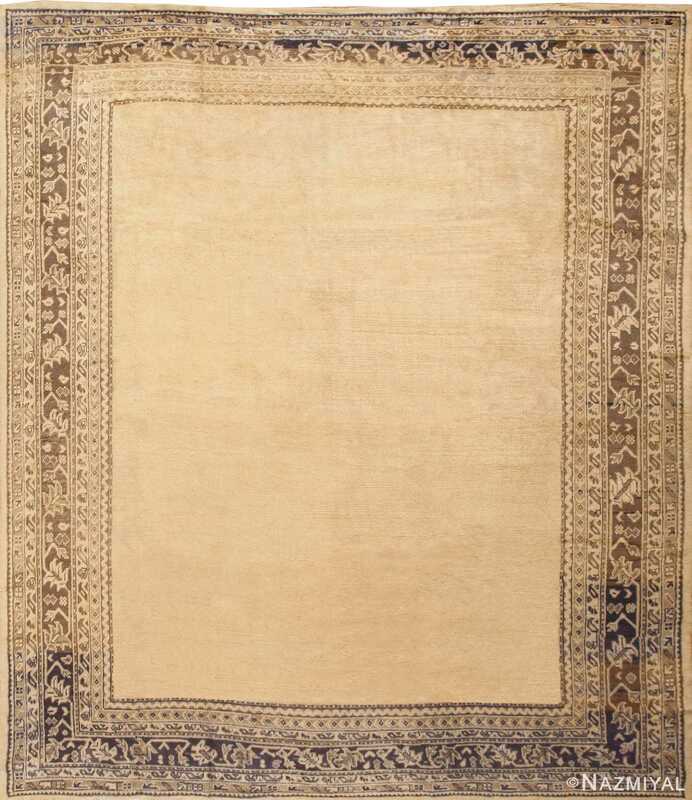 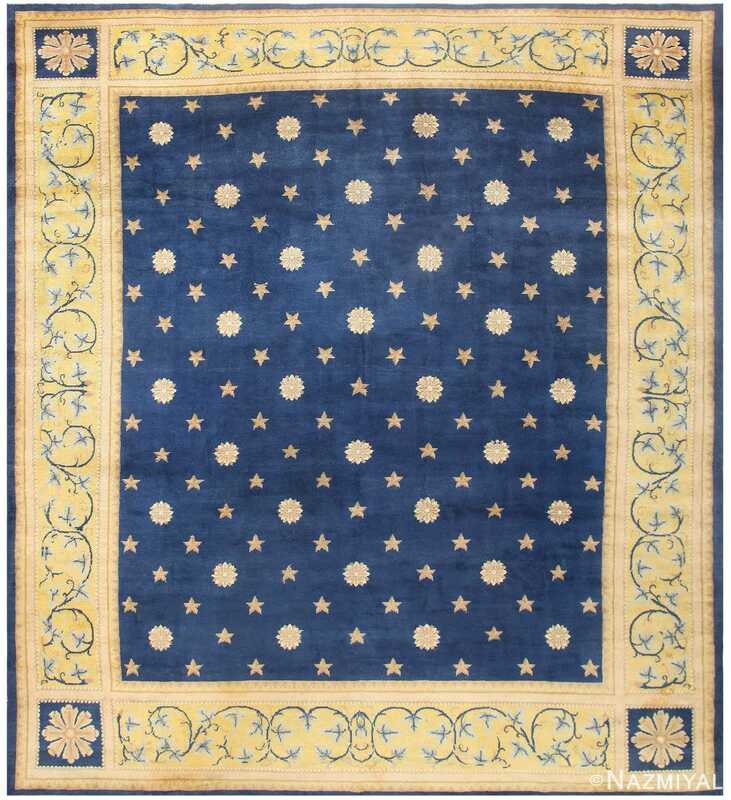 The field of this sumptuous antique Sultanabad from Persia has a richly detailed Herati pattern on a deep blue ground. 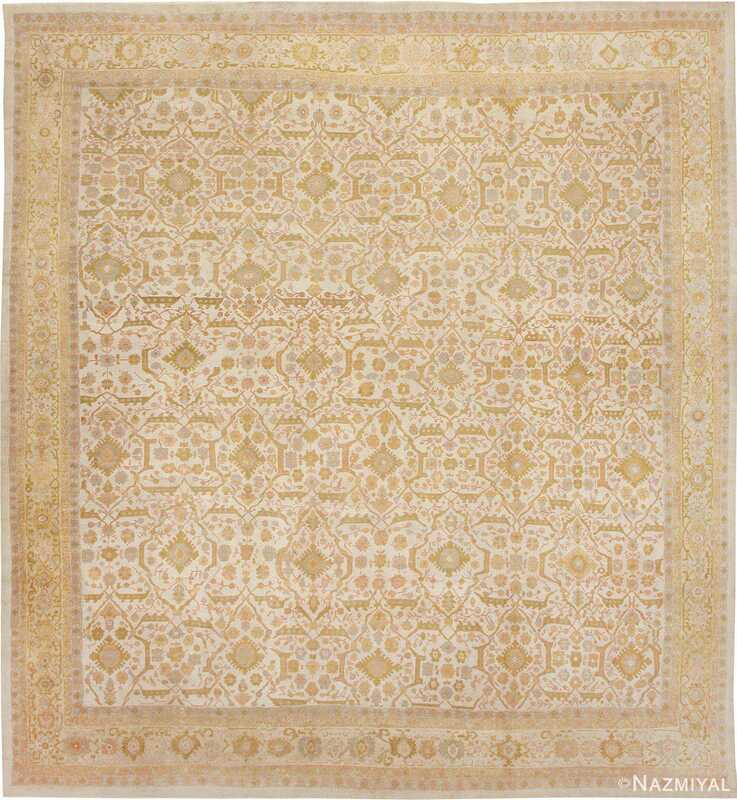 On this elegant antique Tabriz carpet from Persia, a small ogival medallion is set against a pattern of Botehs or paisley forms.